In the diagnosis, the Toyota Tundra car, engine 5.7, the reason for the appeal — the check is lit, 4LO is flashing, there are no speakers, the car is practically “not going”. We connect the scanner, error P2442 — “the valve of the secondary air system of the bank 2 is stuck in the open state”. The secondary air system (SAP) serves to supply additional air to the catalysts when starting a cold engine. Why should air be supplied to the catalyst? The automobile catalyst begins to work (neutralize harmful substances in the exhaust gases) only after warming up more than 300 degrees. After starting the cold engine, the catalyst does not start working immediately. With constantly tightening environmental standards, automakers have to look for opportunities to reduce exhaust emissions. One way is to use a secondary air system to accelerate catalyst warm-up. This system does not have any other function, only accelerating the warm-up of the catalyst, it works only with a cold start for no more than one minute. The secondary air system consists of an air pump, a secondary air valve, a pressure sensor and a secondary air system driver. On Toyota Tundra / Sequoia / Lexus LX570 cars there are two such systems, for every four cylinders there is a pump, a valve, a driver. 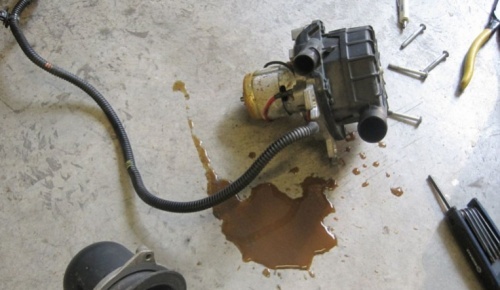 After starting the cold engine (up to 40 degrees), the engine control unit sends a command to the secondary air driver to turn on the pump and valve. With a pressure sensor built into the valve, the engine control unit monitors the health of all parts of the system. 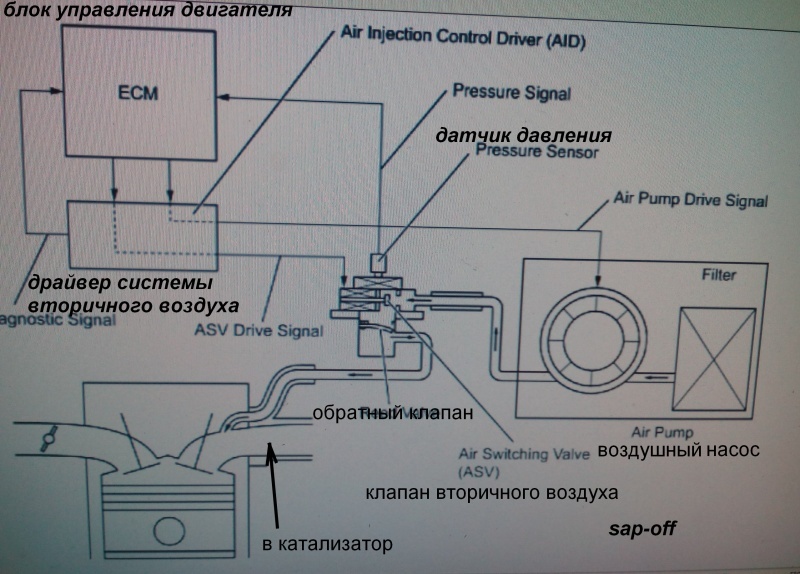 If malfunctions such as sticking of the valve or failure of the pump are found in the memory of the control unit, errors remain and the engine goes into emergency mode in which the engine power is significantly limited. The reason for the failure of this system is the water in the pumps. We consider it impractical to repair this system because of the high cost of spare parts and doubts about the benefits of this system. According to our measurements, the catalyst warms up and begins to work equally with this system and without it. 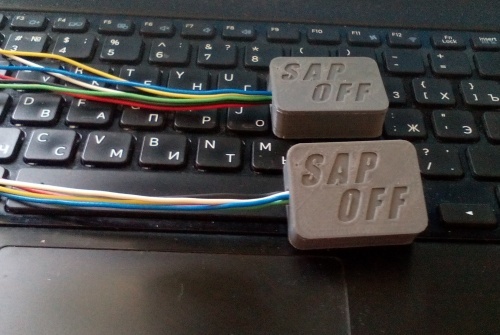 To eliminate errors and emergency operation, we install the SAP-OFF emulator of the secondary air system. The emulator completely imitates the work of a working system, everything works normally, there are no errors.